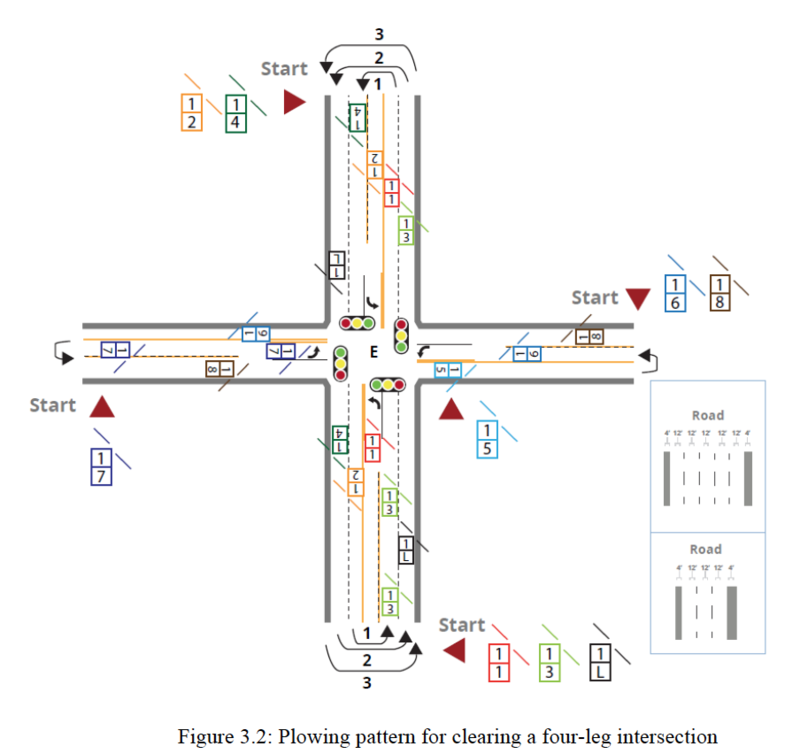 Best practice example for clearing a four-leg intersection. nine passes are needed to clear the intersection. Step-by-step instructions are given in the materials. 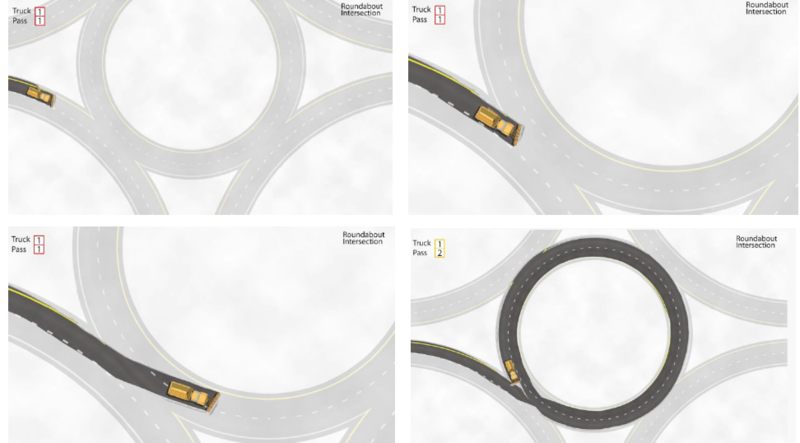 A complete set of training materials from Clear Roads is now available, including a video (with clearing animations), a manual, and reference cards.